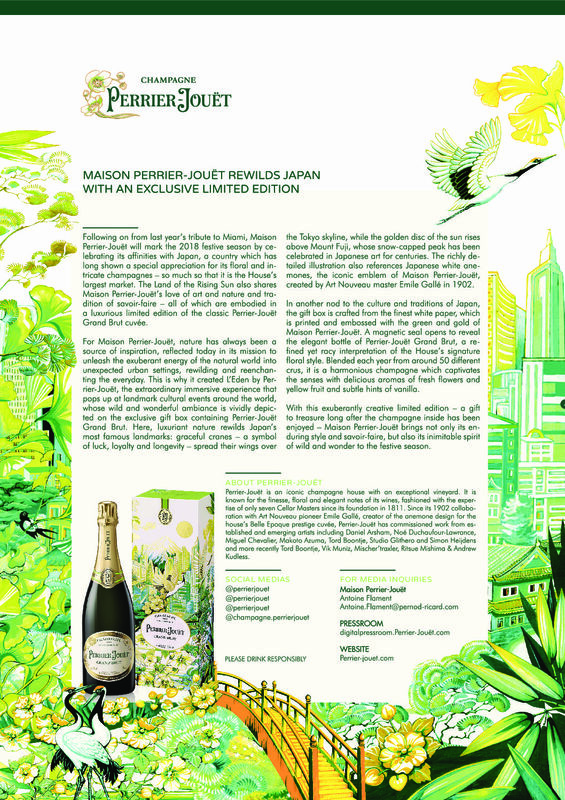 Following on from last year’s tribute to Miami, Maison Perrier-Jouët will mark the 2018 festive season by celebrating its affinities with Japan, a country which has long shown a special appreciation for its floral and intricate champagnes – so much so that it is the House’s largest market. The Land of the Rising Sun also shares Maison Perrier-Jouët’s love of art and nature and tradition of savoir-faire – all of which are embodied in a luxurious limited edition of the classic Perrier-Jouët Grand Brut cuvée. For Maison Perrier-Jouët, nature has always been a source of inspiration, reflected today in its mission to unleash the exuberant energy of the natural world into unexpected urban settings, rewilding and reenchanting the everyday. 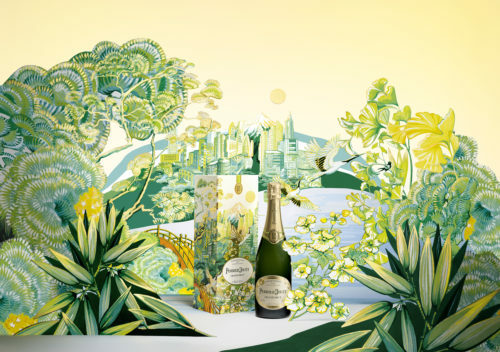 This is why it created L’Eden by Perrier-Jouët, the extraordinary immersive experience that pops up at landmark cultural events around the world, whose wild and wonderful ambiance is vividly depicted on the exclusive gift box containing Perrier-Jouët Grand Brut. Here, luxuriant nature rewilds Japan’s most famous landmarks: graceful cranes – a symbol of luck, loyalty and longevity – spread their wings over the Tokyo skyline, while the golden disc of the sun rises above Mount Fuji, whose snow-capped peak has been celebrated in Japanese art for centuries. The richly detailed illustration also references Japanese white anemones, the iconic emblem of Maison Perrier-Jouët, created by Art Nouveau master Emile Gallé in 1902. 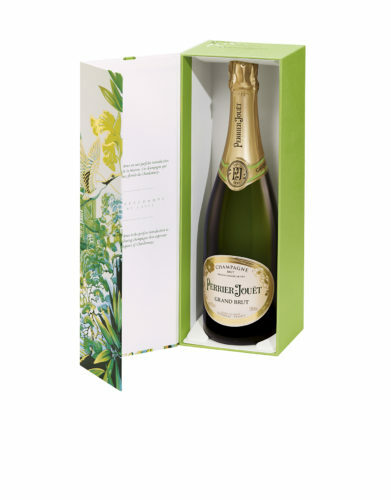 In another nod to the culture and traditions of Japan, the gift box is crafted from the finest white paper, which is printed and embossed with the green and gold of Maison Perrier-Jouët. A magnetic seal opens to reveal the elegant bottle of Perrier-Jouët Grand Brut, a refined yet racy interpretation of the House’s signature floral style. Blended each year from around 50 different crus, it is a harmonious champagne which captivates the senses with delicious aromas of fresh flowers and yellow fruit and subtle hints of vanilla. 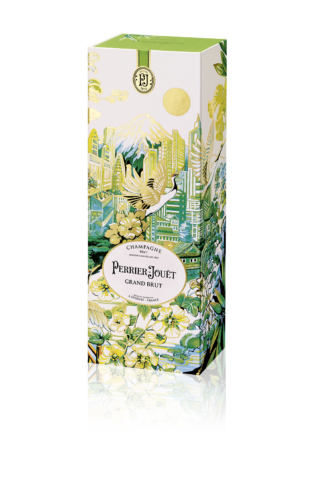 With this exuberantly creative limited edition – a gift to treasure long after the champagne inside has been enjoyed – Maison Perrier-Jouët brings not only its enduring style and savoir-faire, but also its inimitable spirit of wild and wonder to the festive season.